You need caffeine to help you navigate through your busy day. While buying an espresso here or there from your local coffee shop may be convenient, the expenses will soon start to add up. 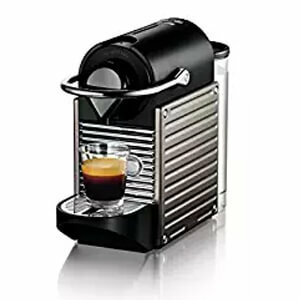 Instead of relying on your local barista for your morning fix, why not purchase your own home espresso machine? These gadgets can be costly, but there are countless high-quality alternatives that can be purchased for a fraction of the cost. Home espresso machines allow you to brew your own beverages for your guests, without having to wait in line for hours at your local coffee shop. You can adjust your drinks so that they have more flavor, fewer calories, or whatever it is you would like to customize. The choices are endless. 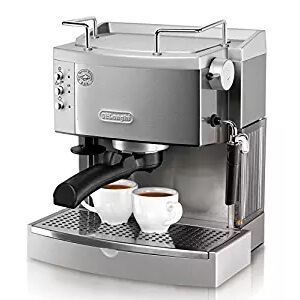 That being said, it does take significantly more expertise and background knowledge to buy an espresso machine than it does a regular coffee maker. Luckily, we are here to break down the best home espresso machines under $200. The Breville ESP8XL is an affordable option for home espresso makers. Cutting a sleek figure and weighing less than fifteen pounds, this product is just large enough to be effective but small enough to avoid taking up your entire countertop. All components are made out of durable stainless steel, including the frothing pitcher, measuring spoon, and tamping tool (Espresso tamping is crucial for a good cup). This makes for easy clean-up and a quick espresso no matter how pressed for time you may be. The Capresso 116.04 comes with several unique features, making it easy to create that customized cup every time. 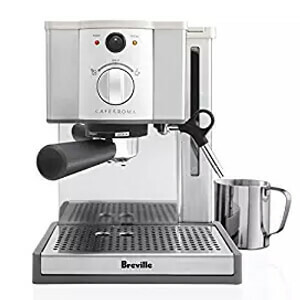 The portafilter sieves on this machine are pressurized, with fifteen bars of pressure and a dual frother wand to provide powerful steam and froth. The frother allows you to make cappuccinos and lattes as well as espresso, and the machine’s auto-rinse cycle allows for zero down time between brewing and steaming. 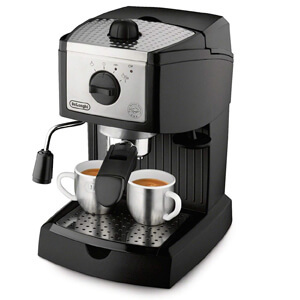 The Lello 1375 is another good option for your money, giving you unlimited espresso for a low price. This machine is durable and easy to use, holding about two weeks’ worth of water for daily use. With this large holding tank and an easy-to-use set-up, this machine will last you several years, according to other pleased reviewers. The De’Longhi ECP3420 is just one of many of this brand’s exceptional machines, allowing you to give a personal touch to every shot of espresso you make. The product has a sleek design, fitting easily on a kitchen countertop without taking up too much space. 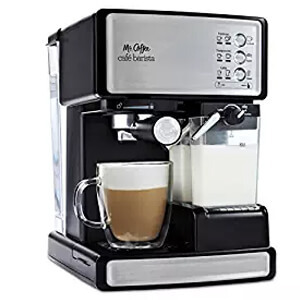 It comes with a manual frother that produces evenly textured drinks, as well as additional unique features such as an adjustable tray and easy-to-fill water tank. 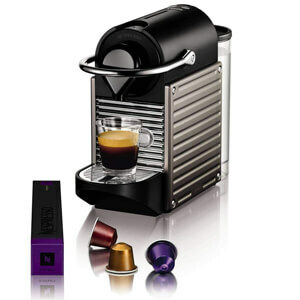 True to its name, the Nespresso Pixie is one of the best options for limited space. Despite its size, it includes a number of upscale features. For example, it has a 19 bar high-pressure pump and heats up in just twenty-five seconds.It is easy to use, with one-touch buttons and automatic empty water tank alerts. Another winner worthy of mentioning is another product manufactured by DeLonghi. This machine offers fifteen bars of professional pressure, with an impressive power input of 1100 watts. You don’t have to worry about your water staying cool with this unit.The product comes with a second tier drip tray to make it easier to accommodate larger cups, and also has storage areas for your filters. Owners receive 24/7 customer support and the ability to customize every aspect of their espresso beverages with this product. 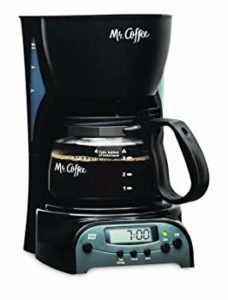 Mr. Coffee is the name to know for coffee-lovers, and its espresso and cappuccino maker offers no exception. 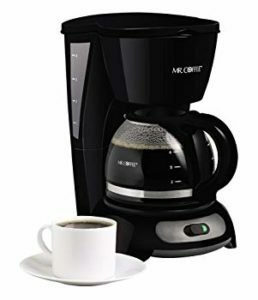 This product is offered at an affordable price and gives users coffee-house quality beverages at a fraction of the price.It is user-friendly, and has the ability to automatically froth your milk. A one-touch control panel allows you to choose easily from a range of options, while the removable water tank makes for easy cleanup and refilling later on. 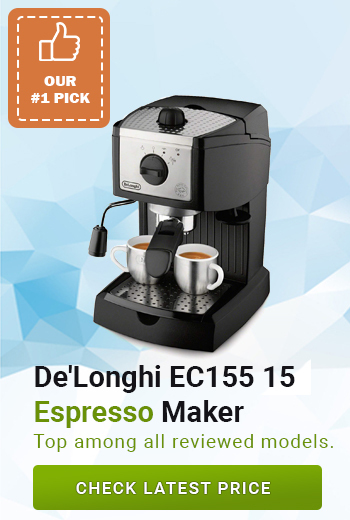 Another award winner by De’Longhi is the ECP3420. This machine is an affordable alternative to more expensive machines and includes power input up to 1100 watts. While it requires a bit more work in terms of foaming and customizing your drinks, it makes it easier to produce unique drinks in a limited amount of time.Because you can adjust this product to brew cappuccinos, lattes, or espressos, you have a range of options to serve to your guests. 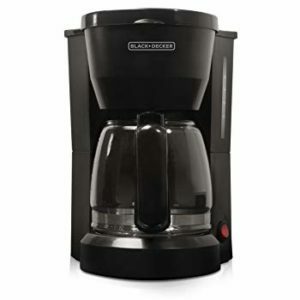 IT adjusts to one shot or two, and can be adjusted for a range of cup sizes. With a fully stainless steel set up, this product is also easy to clean and maintain without taking up tons of space in your kitchen. 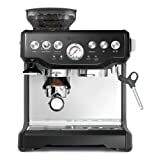 With fifteen-bar professional pressure, this espresso machine is backed by a limited warranty and the support of a 24-hour help desk. Users can call in at any time to get assistance in maintaining or setting up their machines. This customer-friendly product also includes housing that is entirely stainless steel, making clean-up easier, along with a removable 37 ounce water tank. 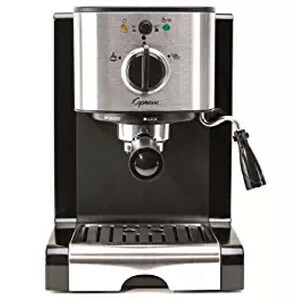 As a result, it is one of the best pump espresso machines under $200 and provides a great bargain for your money. This product is a compact option that fits well in most kitchens. 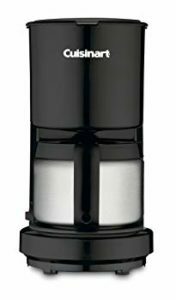 It is eco-friendly, allowing users to insert refillable aluminum capsules (which are more easily and readily recycled) instead of the plastic alternatives. 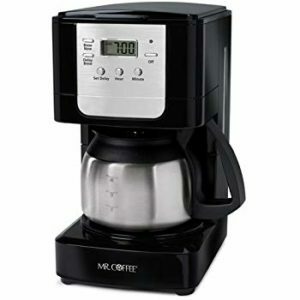 It allows for users to prepare a delicious cup of espresso quickly, taking only twenty-five to thirty seconds to heat. The unit also comes equipped with handy lighted indicators, such as those for water level, used capsule containers, auto power-off, and more. Espresso has been around for thousands of years, providing coffee drinkers a unique alternative to the traditional cup of joe. When buying your home espresso machine, consider our guide. When we selected the list of the best budget espresso machines, we looked for products and brands that were both well-known and well-respected. 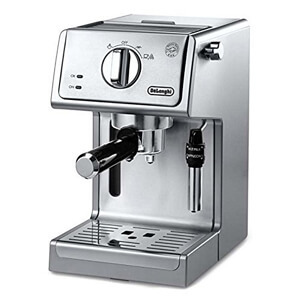 You can purchase an espresso machine that is either semi-automatic, super-automatic, or manual. Those that are semi- or super-automatic will do much of the work for you, but they don’t allow you to personalize your beverage with new brewing ratios quite as much as a manual machine. Each machine was evaluated based on its overall design and function. The beauty of espresso is that it offers drinkers the ability to savor dynamic notes, flavor balances, and smooth textures. These machines offer superior drinkability, and all of them also provided the perfect temperature balance. 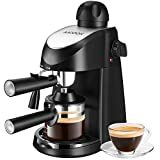 Because espresso needs to be pulled between 186 and 194 degrees Fahrenheit, it is important to buy an espresso machine that allows for this delicate balance. In considering the design of your machine, also think about the design of the basket, portafilter, and tamp. Most machines come with two baskets: one to hold the grounds for a single shot, and one for a double shot. Look for baskets that are easy to fill and tamp evenly, as well as those that hold the perfect amount of grounds for that tasty shot. Similarly, you need to find a machine with a tamp and portafilter that fit correctly, otherwise you risk losing your precious grounds to spills. It is easy to knock these parts over, so you want some that will be sturdy and fit well in your machine. Think about where you intend to install your espresso machine in your house. Some can be extremely heavy, making them difficult to lift and carry, while others can be so lightweight that they move sideways when you try to attach the portafilter. Depending on where you intend to house this large appliance, size and weight can be a deal breaker. Finally, think about how personalized you want your daily espresso to be. Some people are happy following the generic recipes that come with the machine, while others want more unique, Italian-style blends (source). Take this into consideration when purchasing your manual or automatic espresso machine, as some machines will allow for this level of customization. 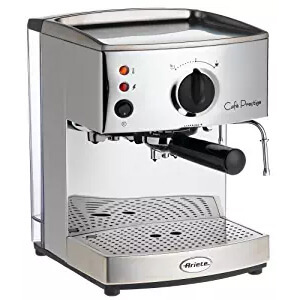 If you find yourself regularly stopping for an espresso on the way to work, a home replica of your standard commercial espresso machine can be a good investment, allowing you to create the same drinks for substantially less money. In addition, installing an espresso machine in your home allows you to entertain guests more easily. There is nothing quite like a steaming shot of espresso on a cold day, and having a machine in the home allows you to provide an additional luxury to your guest. There are few special skills required to operate these machines, and they give your home a new, elegant ambiance and a world of options when it comes to personalizing your beverages. Plus, you’ll know for sure that you are getting what you paid for, and not being overcharged for a beverage you don’t want. The word espresso translates easily to “pressed-out coffee,” and while it is simply the byproduct of forcing hot water through ground coffee beans, it can be a bit challenging to master the technique. Therefore, it’s important that you consider an espresso machine that will take the guesswork out of the equation. 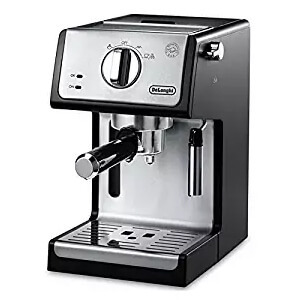 Once you’ve found it, the best espresso machine under $200 will allow you to explore a whole new world of caffeinated beverages. You will find that you save time, money, and energy that you used to waste waiting in line at the local coffee shop. So why wait another second? Consider our list of the best espresso machines and get shopping now.